I also patchworked / quilted two wallhangings, and work on my first full sized blanket. I learned to fold Bascetta stars (very cool that). Happy New Year 2013 to all of you. Stay healthy and stay happy. 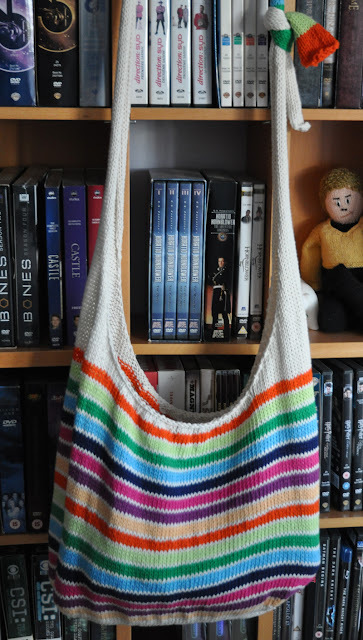 This post is about the movie 'The Hobbit; An Unexpected Journey', So no knitting, no travelling, none of the usual stuff. Sorry. Now, within three hours of watching the movie I was turned into a fan. I saw each of the movies in the trilogy several times in the theaters. I have the DVDs (Extended Edition of course). I have secondry literature (Art of Lord of the Rings). I have an Elven cloak. I have knitted Pippin's scarf. I went to the exhibition of the movie props in London. I saw sketches by Alan Lee and John Howe in the National Library in Paris. Middle Earth / New Zealand is beautiful! Acting: Ian McKellen IS Gandalf - it's very obvious he loves the character and enjoys playing him. Martin Freeman as Bilbo Baggins is perfectly cast. Watching his journey from gentle Hobbit to finding the courage within himself alone is worth the price of admittance. The scene between Bilbo and Gollum ('Riddles in the Dark') - fantastic. And the dwarfs. I love every single one of them. Thorin is a wounded and driven soul (and not exactly bad looking). And I have a particular fondness for Fili and Kili. According to my copy of 'The Hobbit' (the 50th Anniversary Edition from Unwin Paperbacks) the movie ends at page 111 of 285. I'm looking forward to the next 174 pages... Only 359 days to go. The last two days were spent with making this year's crop of Christmas Cookies. 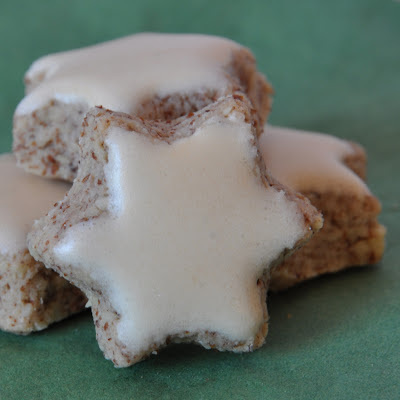 One kind that needs to be done every year are Cinnamon Stars. Mostly sugar, eggwhite and grounded almonds, they are pretty simple to make and look rather fancy. 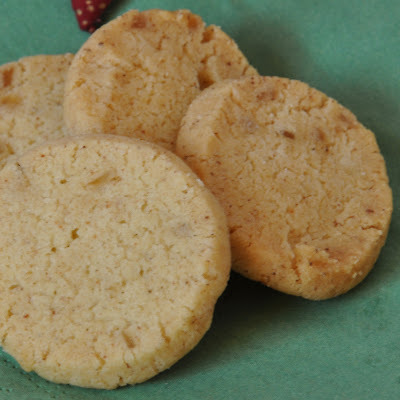 Another 'have-to-make' are Heidesand, only that I add candied ginger to the mix, which gives them a spicyness that contrasts fantastically with the intense butter flavour. 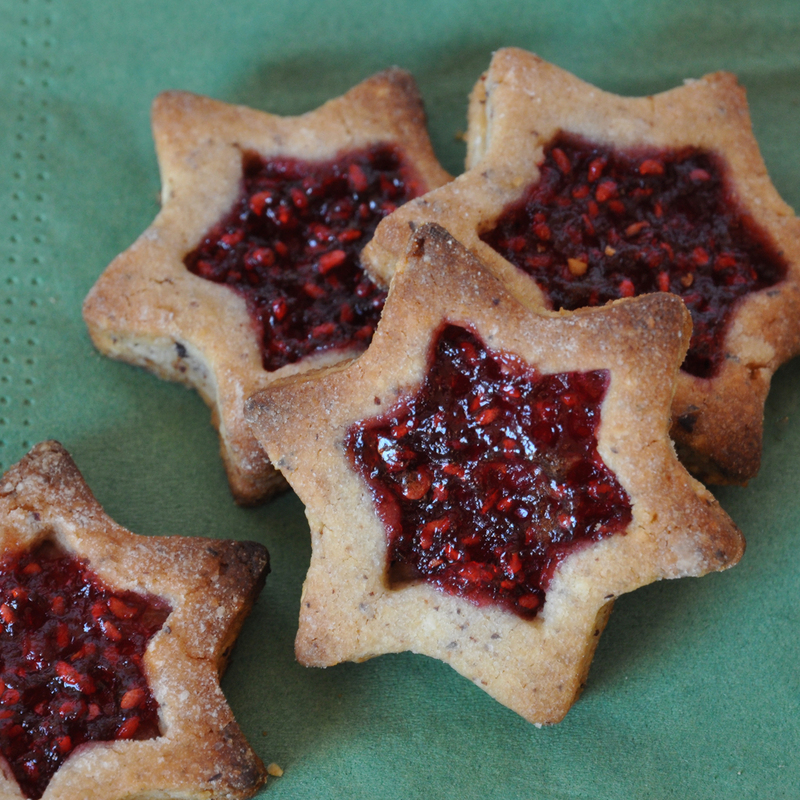 A newcomer (though really a variation on something I made last year, or was it the year before) are those Linzer stars. 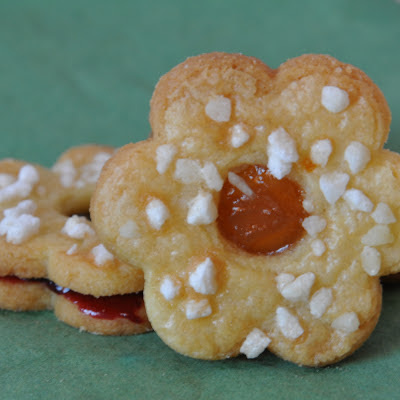 Based on the famous Linzer cake, there contain hazelnuts and rasberry jam. 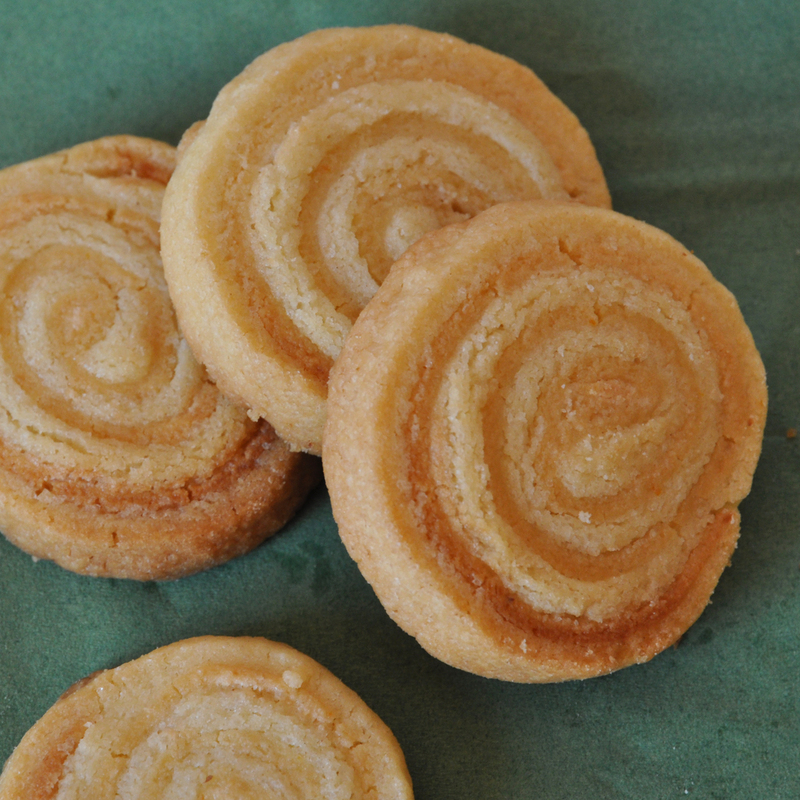 Another newcomer are those mandarin marzipan cookies. Considering how much cursing was involved in making them, I'm not sure they're be back next year, but actually they taste very nice so maybe there's a chance for them after all.